Employment generation is one of the key challenges before the government in the Budget 2018-19. Employment generation is one of the key challenges before the government in the Budget 2018-19. Modi Government had promised 1crore jobs every year for the youth but 3 years in to power what we have seen is a marginal rise in the unemployment rate. No wonder that the government came under severe criticism from all quarters for failing to create jobs. Unemployment rate of 5 – 6.5% for a young country like India where 65% of the population is below the age of 35 is alarming. Also now with advent of automation and AI, many sectors such as Information Technology and manufacturing may in fact see job losses. Over the last decade the GDP growth of the country has mostly remained a jobless one. Right for the UPA era to current times there has been a number of steps that the successive governments have taken such as MNREGA and Mudra Yojana to address the issue but the impact of the same has remained modest as best. Now with disruptive reforms such as demonetization and GST the situation has gone from bad to worse and urgent steps in the Budget 2018 are required to address the issue of employment generation. Some of the bold steps and reforms that the government can contemplate upon in Budget 2018 are mentioned below. Step to Revive Private Investment – Along with increase in Public investment, the government needs to revive private investment too and steps for the same will have to be taken in the Budget 2018.Tax sops are being touted as one of the ways to improve sentiments and thus improve private investment in various sectors. It is believed that the government is mulling an investment allowance in terms of tax benefits to already existing businesses for further investment and expansion of their manufacturing plants and capacity. The government believes that it will help boost employment and increase capacity. This coupled with more money in the pocket of middle class through tax cuts will boost demand and provide the required impetus to the economy. Other steps that the government can take in the Budget 2018 are to ensure long term policy consistency, cutting of red tape and further improvement in ease of doing business and climate for investment. National Employment Policy – It is expected that the government may announce India’s first National Employment Policy (NEP) in the Budget 2018. The policy will lay down a roadmap and steps that the government intends to take for employment generation through various economic and labour policies and reforms. In the said policy the government is expected to incentivize job creation by corporate and provide the required support structure for small and medium sized enterprises which are real job creators in the country. The NEP will also lay down guidelines for employment and protection of employees through addressing issues such as guarantee of minimum wage and social security. The government believes that National Employment Policy (NEP) will be a game changer as far as employment in the informal sector is concerned. 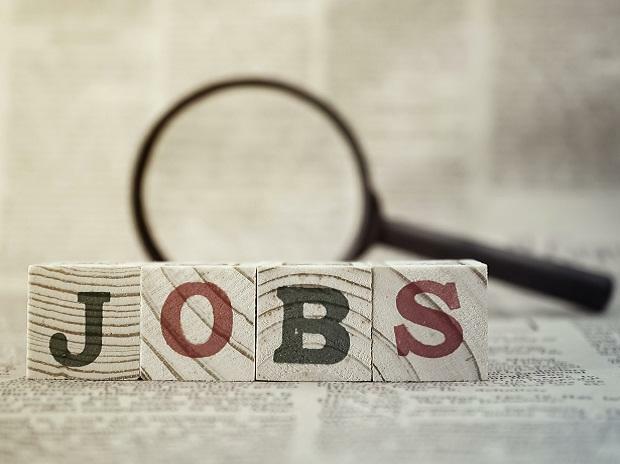 Niti Aayog has stated that substantive reforms and changes are required in the Indian job market which is currently dominated by low-wage jobs. It further stated that these issues and other tricky issue such as that of labour reforms can be addressed through a well-planned NEP. Stimulus for Employment Intrinsic Sectors – Many sectors such as manufacturing, agriculture and others are employment driven and thus experts believe that the FM should have a special focus on the said sectors in the Budget 2018. Tax rate cuts and sops are expected for these sectors in the Budget 2018. Bulk of India’s workforce is involved in the informal sector, the government would want to reverse this trend and increase employment in the formal sector. Banking sector especially Public Sector Banks (PSBs) have been a major employment generator in the past with banking reforms and proper tweaks the sector has the potential to be a major employer once again. New age sectors such as ecommerce and app based taxi services and more have been in the forefront of job creation in the recent years and the trend is likely to continue. Thus the said sectors also expect a special treatment from the FM in the Budget 2018. Policy for Ease of Business – Experts believe to encourage employment generation the Government’s reform agenda should continue and in fact must gather pace. Clear cut long term policy formation, simplification of tax and other laws and codes, easier processes to start or shut down businesses such as single window clearance and more can go a long way in improving sentiments thus will have a positive impact of employment generation. Another sticky issue is that of impending labour reforms that will enable contractual hiring and firing of employees. Experts believe that this will lead to increased employment generation but will thin the social security and job security net for the employees. Thus a balanced approached is required, the government should work will various trade unions and industries to chalk out a middle path. Skill Development and Entrepreneurship – The government is likely to continue and in fact scale up its flagship programs such as Skill India and others to improve employability of the existing workforce. As per World Bank more than 30% of India’s population between the age group of 15 and 29 years are NEETs (Not in education, employment or training). Add to that in the past only around 12% of more than 550,000 workers trained by the National Skill Development Corporation have landed a job. To address the said issues the government needs to generate 10 to 12 million jobs a year and also further improve employability. Although government actions such as the MUDRA Yojana and others have shown that it wants to encourage entrepreneurship but much is still required to be done on the said front too. Thus further steps to boost startups and encourage scale ups should also be accommodated in the Budget 2018.